A friend asks you how you’re feeling. You answer, “Fine, knock on wood,” and rap your knuckles on the nearest piece of lumber. Someone sneezes, and you respond, “Bless you.” Are your responses motivated by tradition or superstition? A lot of our daily habits find their roots in early man’s belief in the supernatural. Carrying a rabbit’s foot, wishing on a chicken bone, crossing fingers and throwing spilled salt-all had their beginning with primitive man. 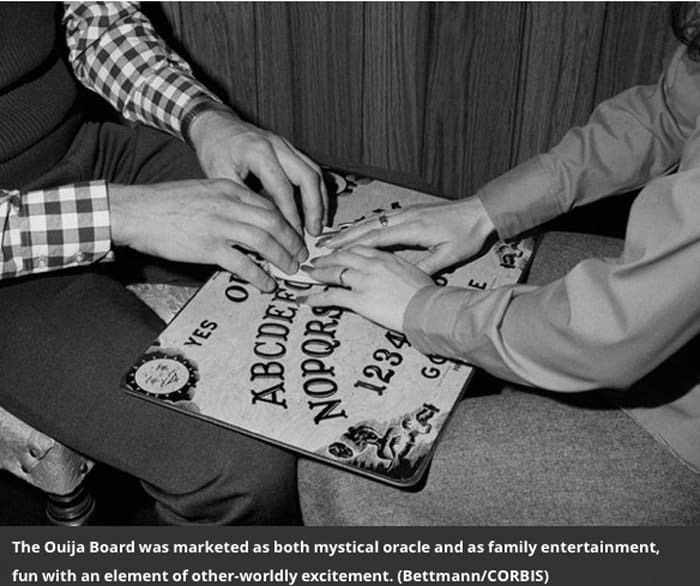 In every section of the world, people give credence to superstition. My great grandmother, whose beliefs were steeped in Old World ways, was a devout believer in the omnipotent “evil eye.” If she suspected someone was casting the nefarious glance her family’s way, she would tell us to place our thumb between our forefinger and our middle finger while making a fist. This will counteract the evil spell, she’d say. I’ve no need of such defenses today, as most everyone I know has impaired vision, wears thick bifocals or suffers from computer-induced eye strain. Most people have enough trouble just seeing clearly in today’s smog-filled world without using precious eye power to conjure up an evil spell. Ever knock on wood? Most of us do, although few of us know why. Knocking on wood originated with the notion that evil spirits, upon overhearing potential good news during human conversation, would try to sabotage the situation. The sound of rapping on wood was meant to keep the spirits from hearing the news as it was told. I have to admit I knock on wood every time I say something good. The only problem I’m having in today’s modern world of glass tabletops, Formica counters and metal chairs is finding a real piece of wood to knock on. The custom of saying “God bless you” when someone sneezes originated with the belief that a sneeze might accidentally expel a person’s soul. In the Far East, some cultures clap their hands and bow toward the sneezer. This sounds like a nice, polite way to catch the latest flu bug going around. As we well know, the only thing that escapes when a person sneezes is a spray of germs. 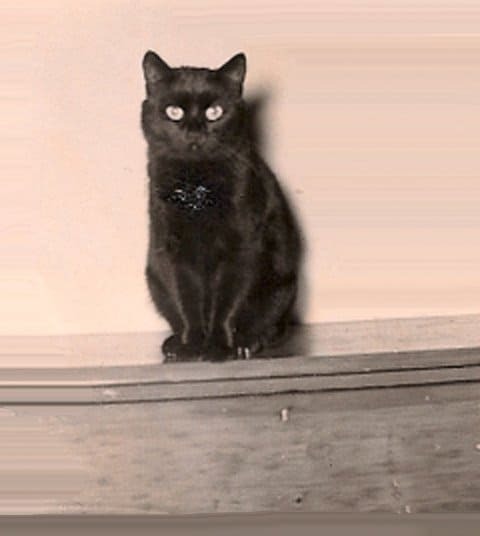 Black cats have had an unwarranted stigma attached to them for centuries. 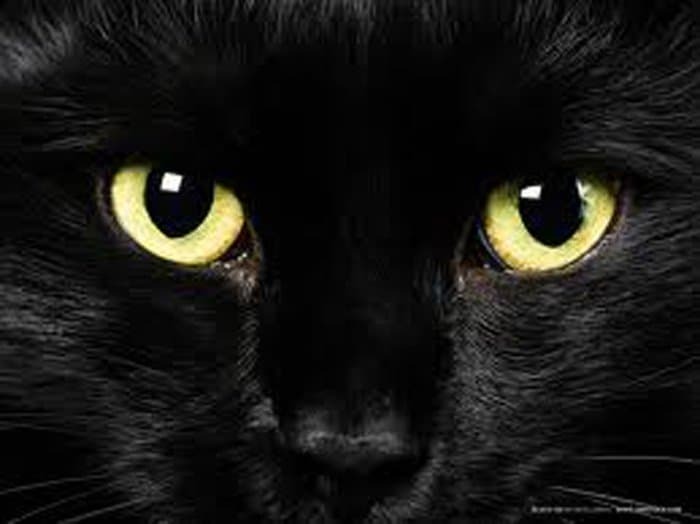 In early times, people believed the black cat had the power to change itself into a witch or devil after seven years. Anyone who’s owned a cat of any color knows there is a certain amount of devilry in all cats. As the owner of two black cats, both over the age of 7, I can verify that neither of them has shown any signs of flying off on my kitchen broomstick. Not yet anyway. Are you still a little squeamish about opening an umbrella in the house? In the days when women wore exquisite hats and high-piled hairdos and men wore top hats and tails, the umbrella was made large enough to shelter a family of four. Opening one of these cumbersome umbrellas in a Victorian household was bound to break something, so it was deemed bad luck. Walking under a ladder was labeled bad luck centuries ago because of the sacred shape the ladder leaning against a wall created. As the triangle was the symbol of life, walking through one was said to bring hardship. And then there’s the most popular of all folklore stories: lycanthropy. For centuries, people believed some men could turn themselves into wolf men by the full of the moon. Any girl who’s gone on a date with a teenage boy to a drive-in has seen this uncanny phenomenon for themselves, even on a moonless night. Black cat in the house. Whenever I spill salt, I automatically toss a pinch over my left shoulder. The habit comes from years of watching Mom do the same thing. The practice began when early man discovered the powers of salt for melting snow and preserving food, earning it a reputation as a positive talisman. Spilled salt was a warning from friendly spirits that evil was nearby, they reasoned. They threw salt over the left shoulder to appease the bad spirits that lived there. (The good spirits lived on the right.) I’ll probably continue to throw a few grains of spilled salt their way. It can’t hurt, right? Some Europeans believe in the “Little People” – fairies, elves, gremlins and leprechauns. Believers blame these creatures for everything from soured milk to plane crashes. They’re responsible for those eyeglasses we can never find or the misplaced tool and all those other little household items that get lost and then suddenly reappear: socks in the drier, the remote control, car keys, wrapping tape, the scissors or bottle of glue we just set down a moment ago and now can’t find anywhere. I’m inclined to believe in these “little folk” and happily attribute the blame for my lost articles on their mischief-making. Especially when the alternative is to blame it on my fading memory.